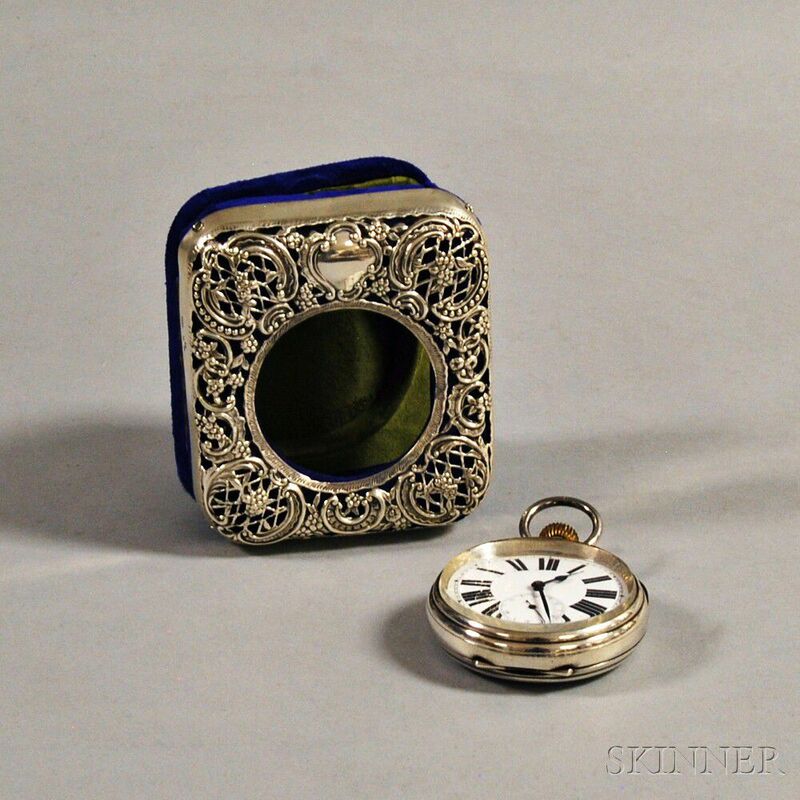 Swiss Open Face .935 Silver Pocket Watch and an English Sterling Silver-mounted Watch Hutch, the watch with large Roman numerals and subsidiary seconds dial, Swiss silver hallmarks to inside of case, case no. 682591, and Atlas movement, dia. 2 5/8 in., total 273.4 g, the hutch of repousse silver overlay on royal blue velvet, marks for London, 1898, William Comyns & Sons, ht. 4 1/2, wd. 3 7/8, dp. 1 3/4 in.